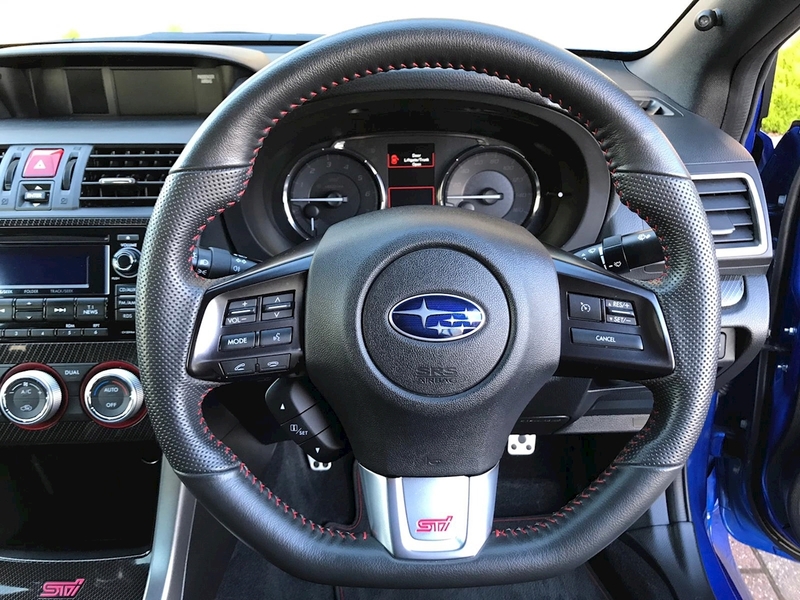 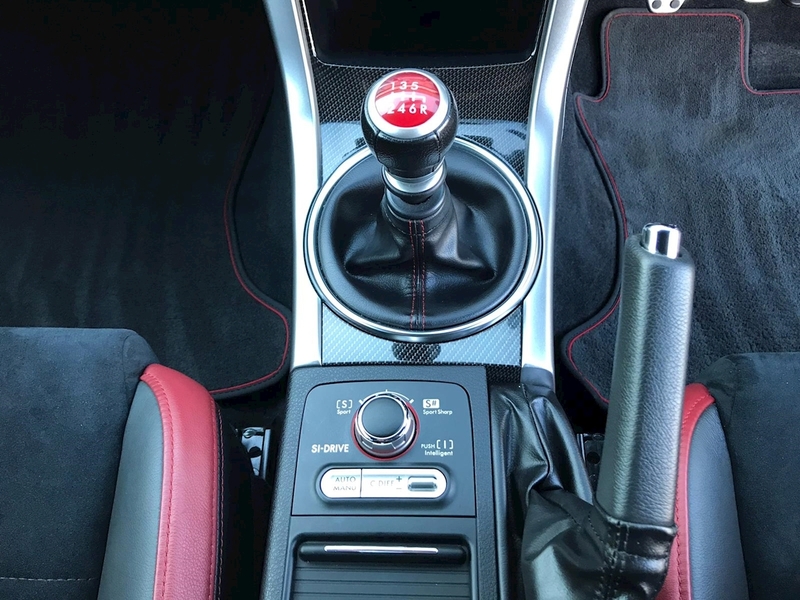 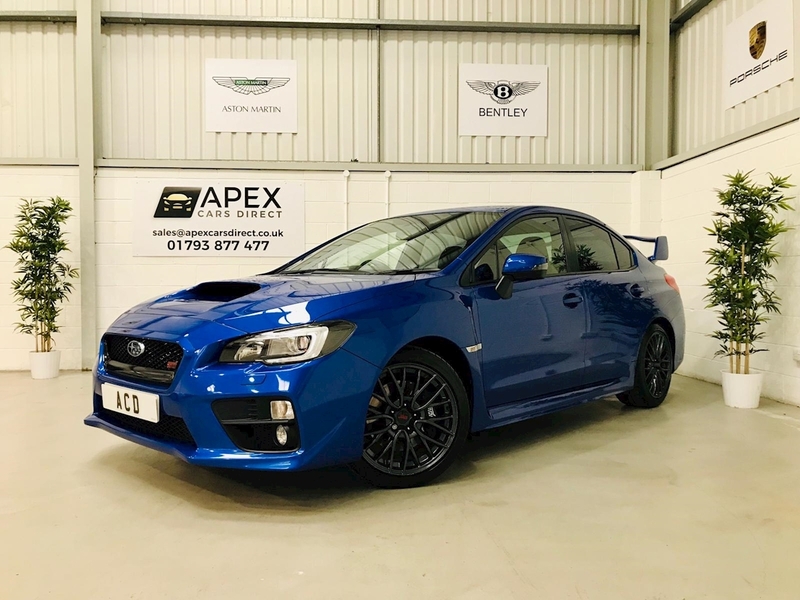 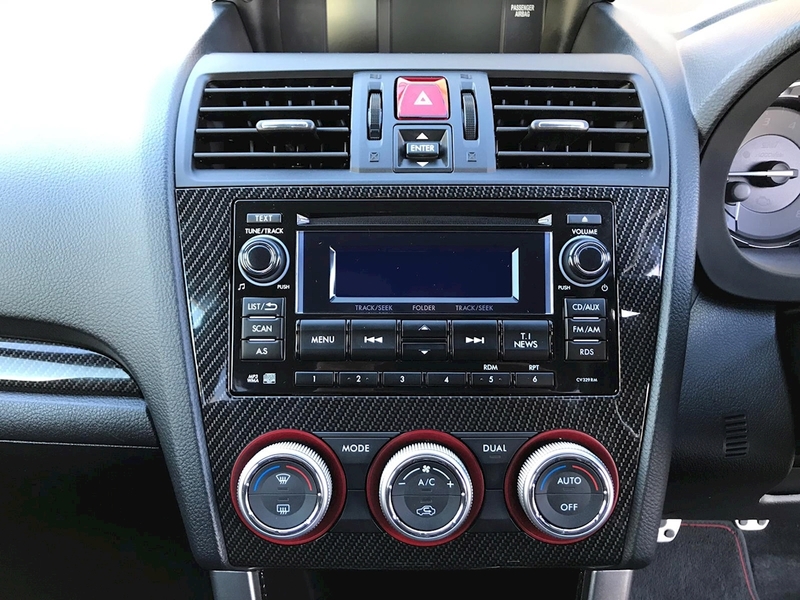 Apex Cars Direct have just taken this stunning Subaru WRX Sti Type UK into stock and this magnificent ‘SCOOBY’ is ready for a new home, It comes packed with features including 6 Way Manually Adjustable Drivers Seat, Leather Wrapped Gear Knob, Power Windows, 60:40 Split Folding Rear Seats, 2 Front Cup Holders (In the Centre Console), Cruise Control, 4.3 - inch LCD Screen Displays, Dual-Zone Automatic Air-Conditioning, Rear Privacy Glass, Leather Wrapped Steering Wheel with Red Stitching, Keyless Entry, Push Button Start System, Carbon Dash and Centre Console Trim with Red Accents, Sporty Front Seats, Multi-function Steering Wheel with tilt and telescopic adjustment, Radio with CD / MP3 / USB and Auxiliary Audio Input with 6 Speakers, Electric Boot Opener, Bluetooth Phone Connectivity, Keyless Access, Third Brake Light, Hill Hold Assist, Thatcham Category 1 Security System, Brake Assist System, Tyre Pressure Monitoring System, Isofix, LED Headlamps with Auto Levelling with Daytime Running Lights, Front Fog Lights, Multi-Mode Vehicle Dynamics Control (VDC) System, Satellite Security Tracker, EBD, Pop-up Type Headlamp Washers, Large Boot Spoiler, Electrically Heated and Folding Door Mirrors with Integrated LED Indicators, Intermittent Rear Window Wiper, plus much more. 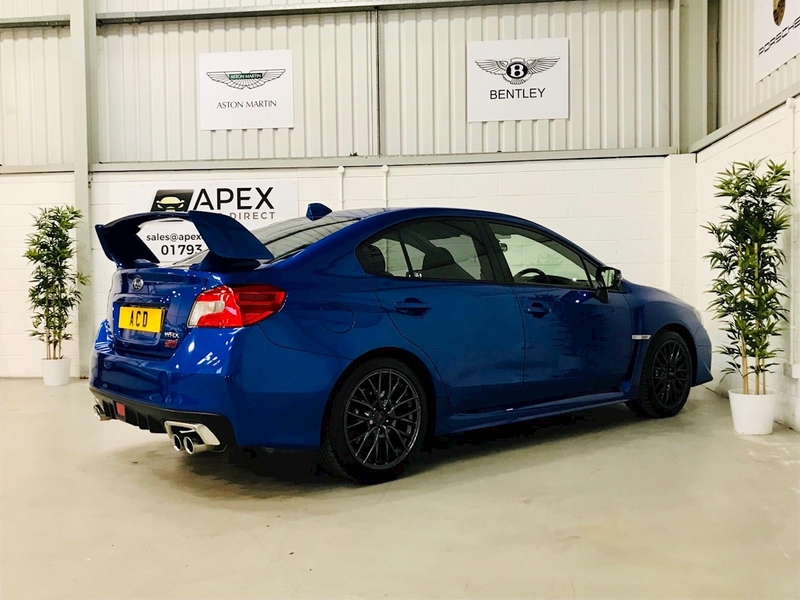 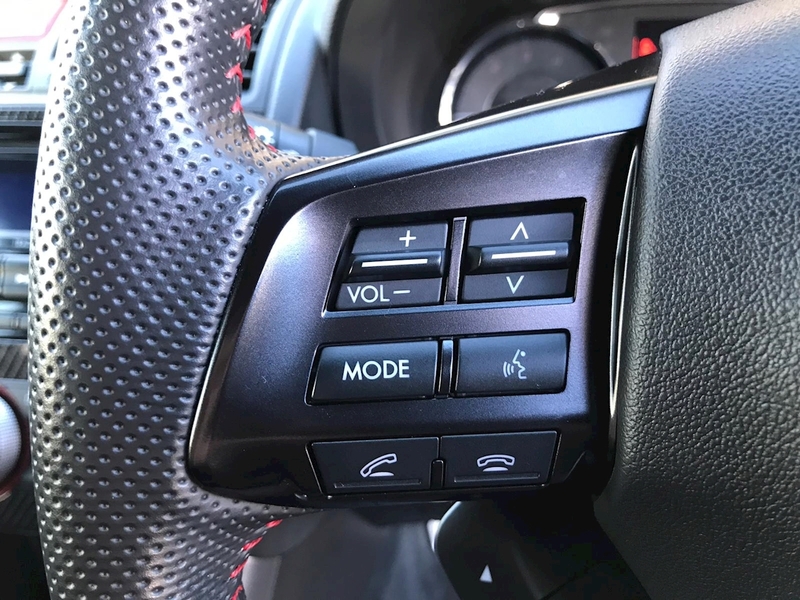 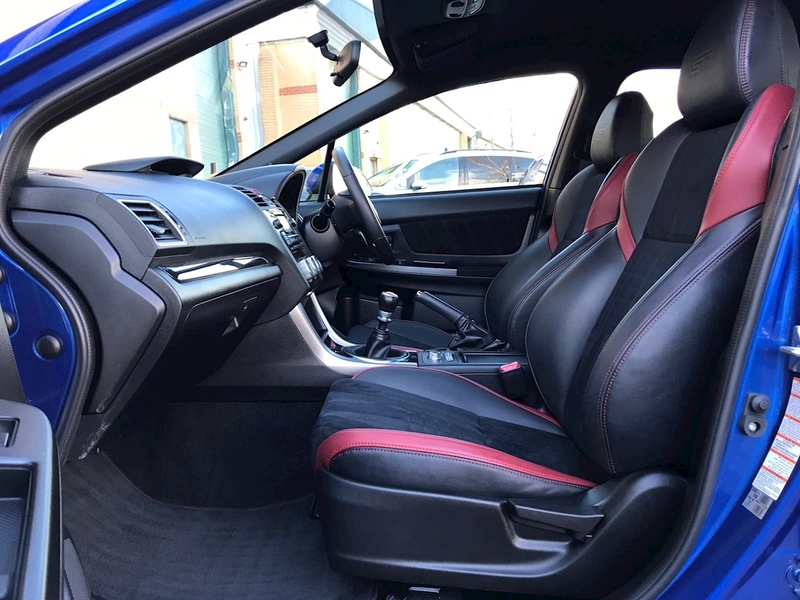 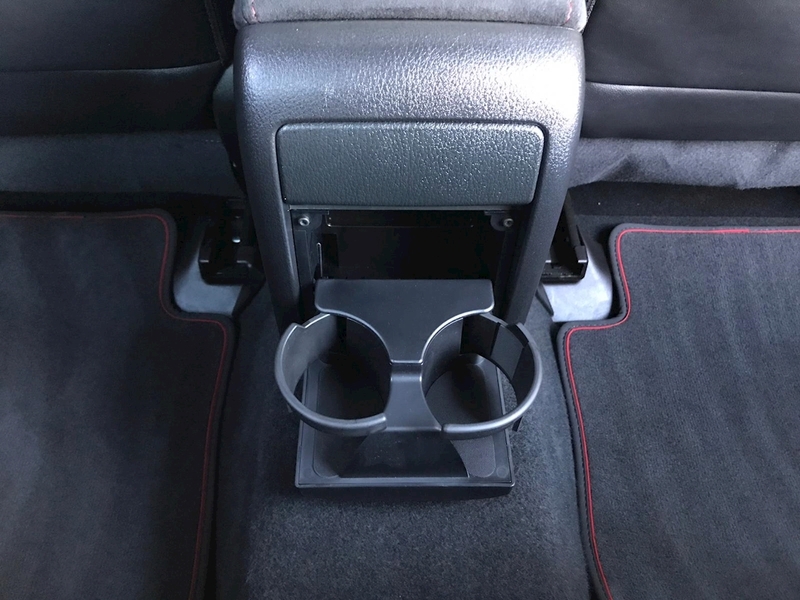 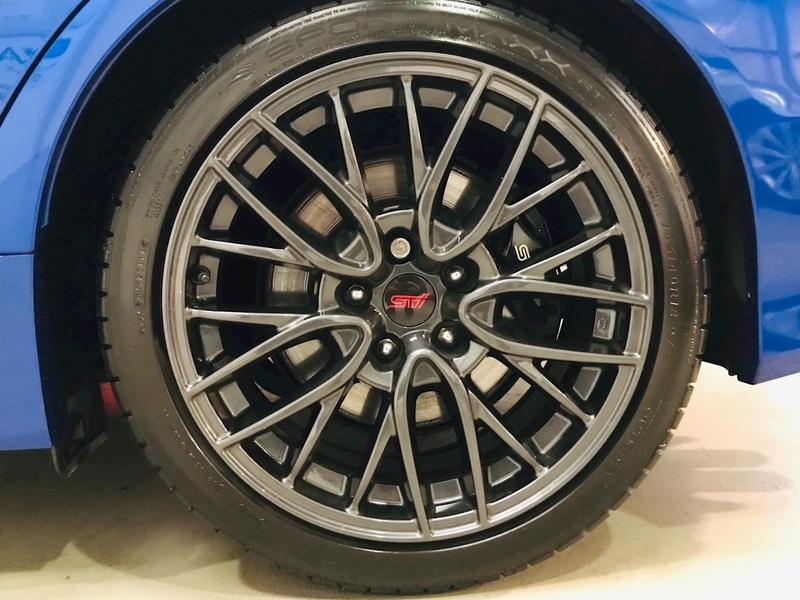 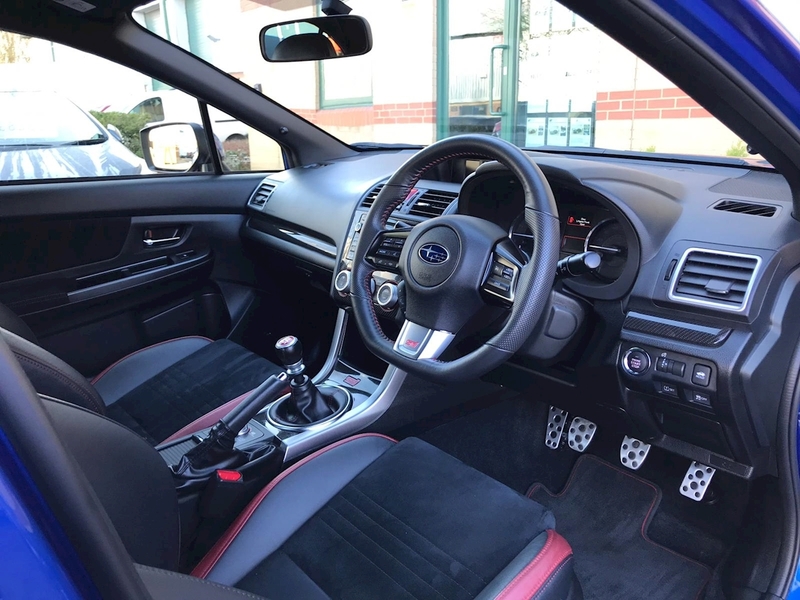 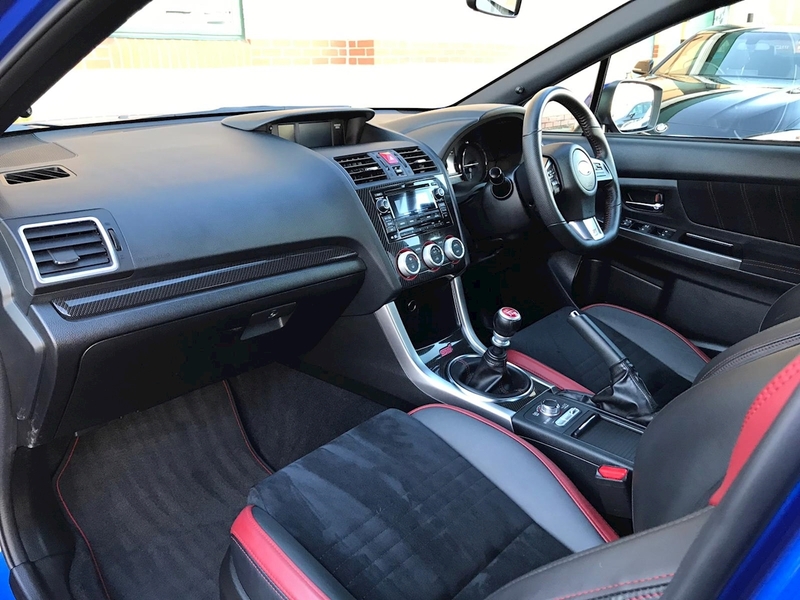 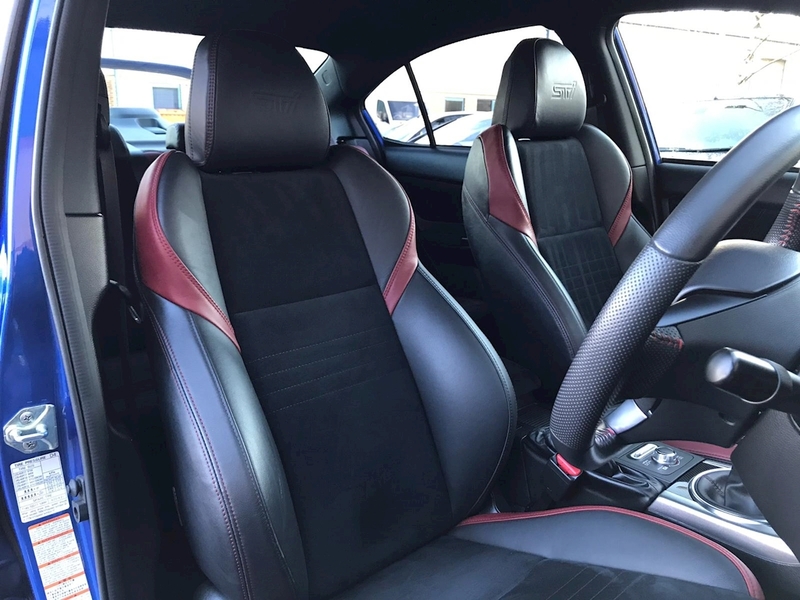 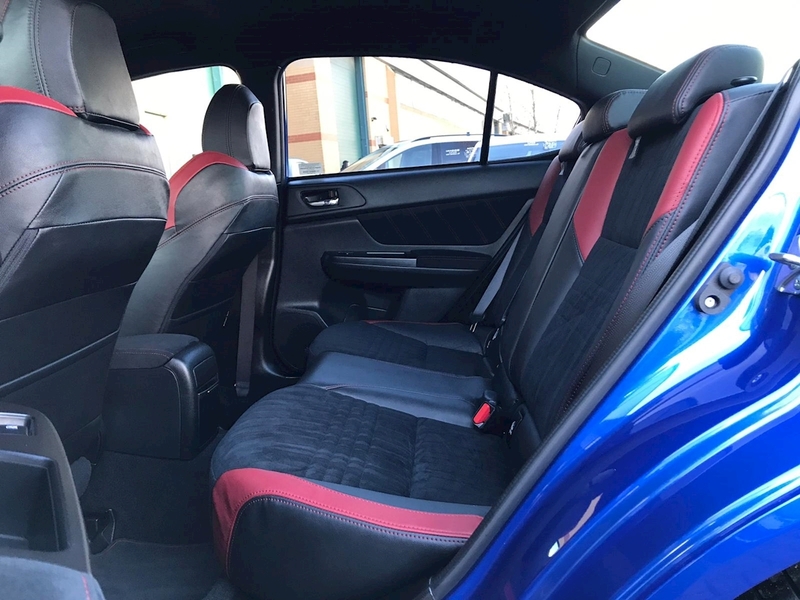 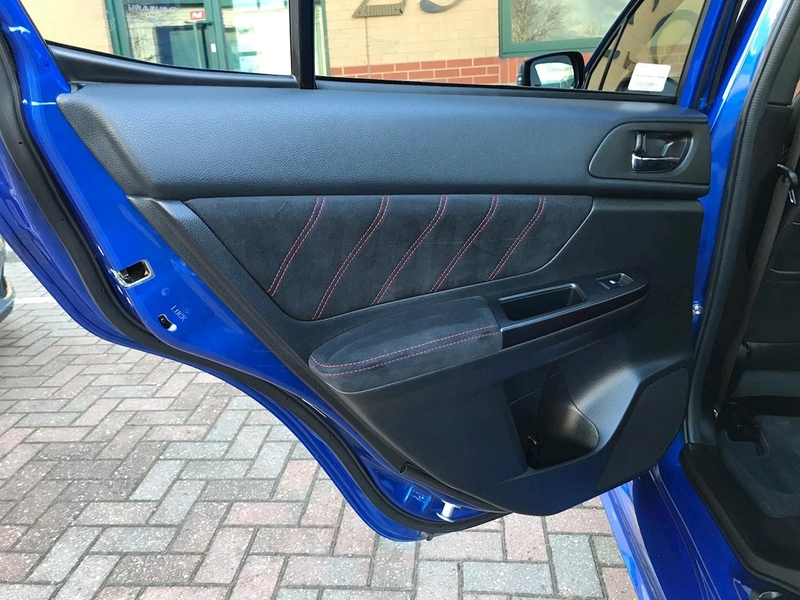 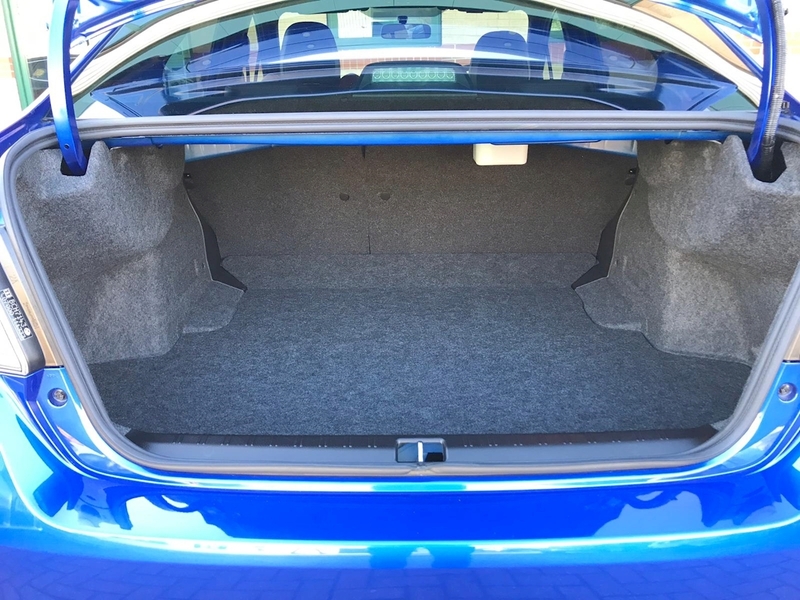 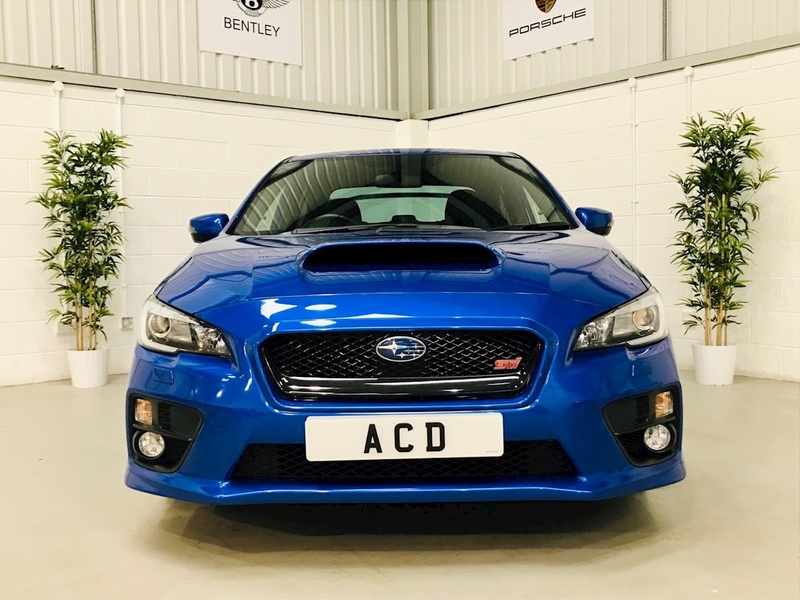 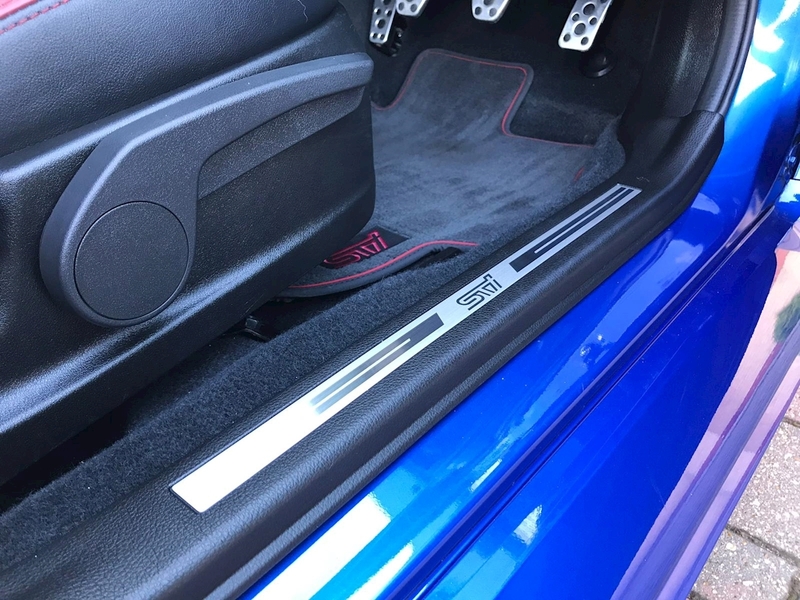 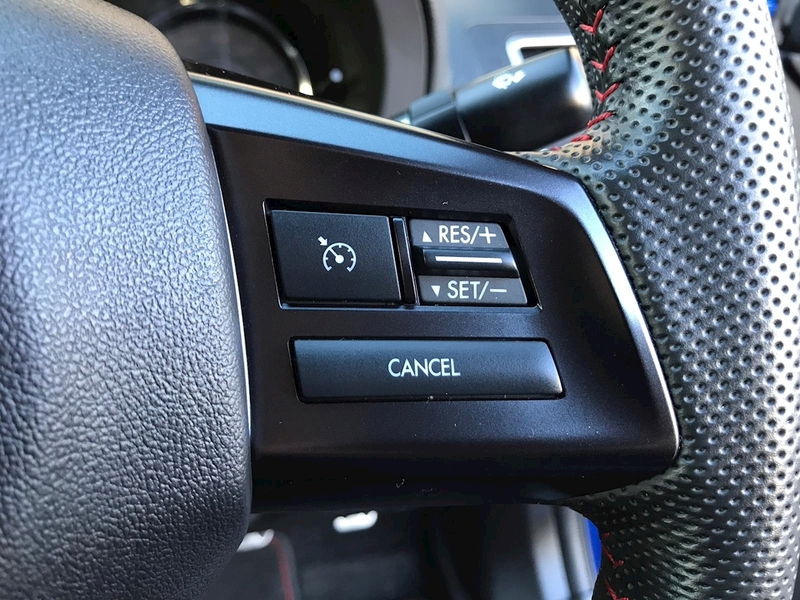 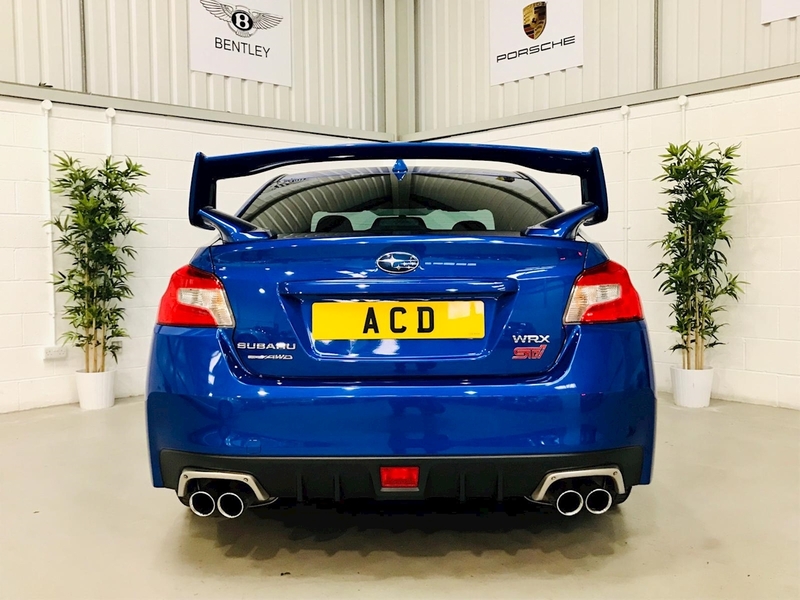 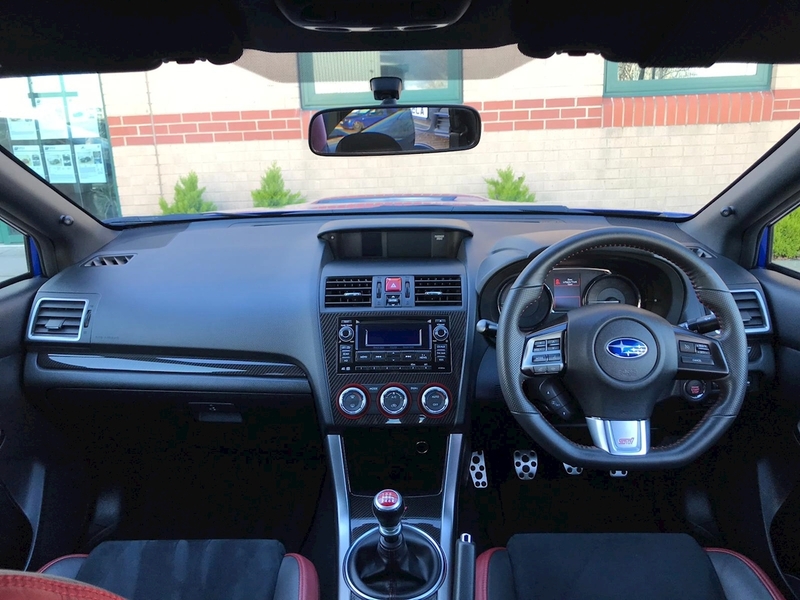 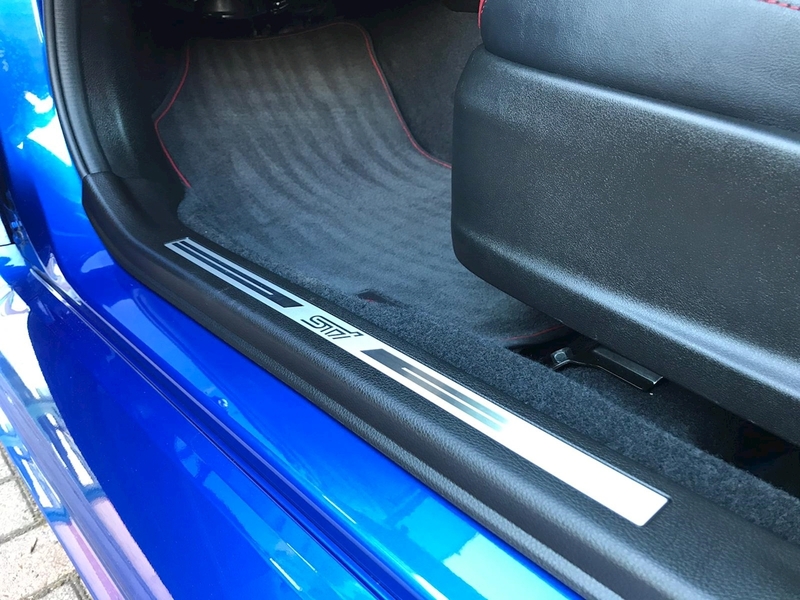 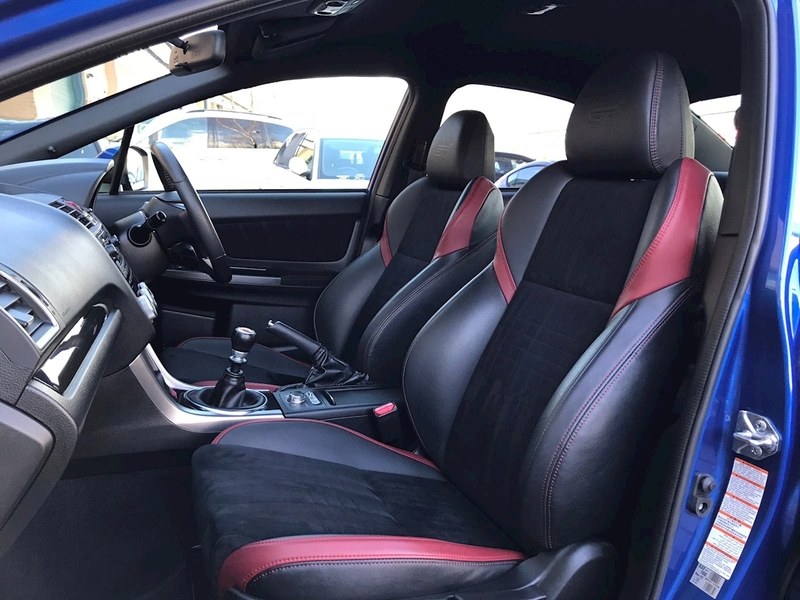 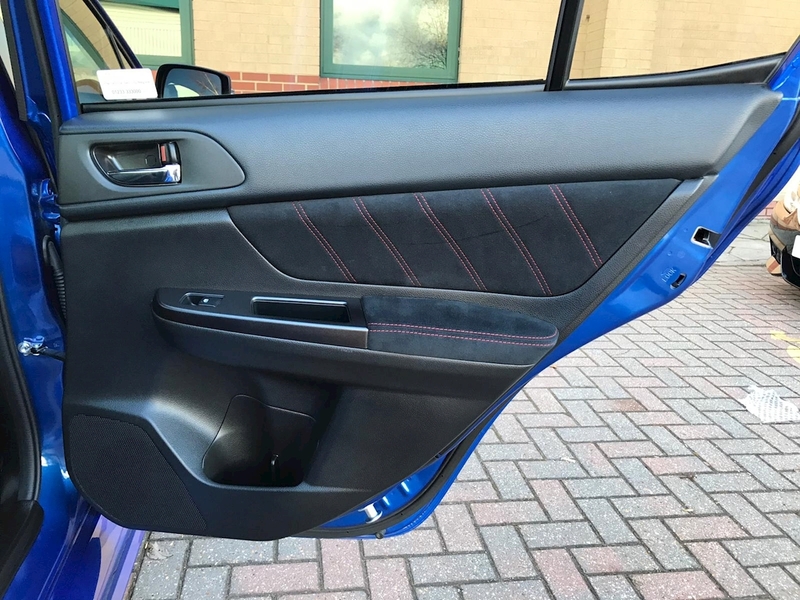 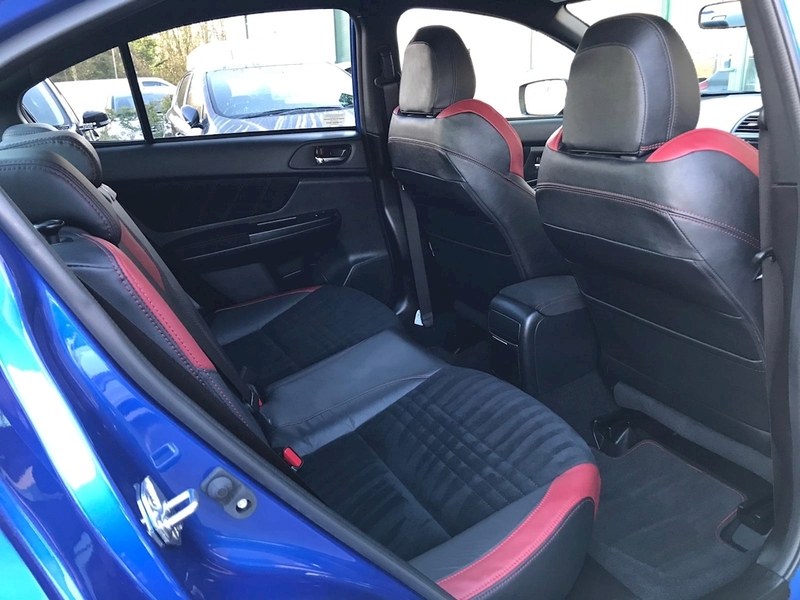 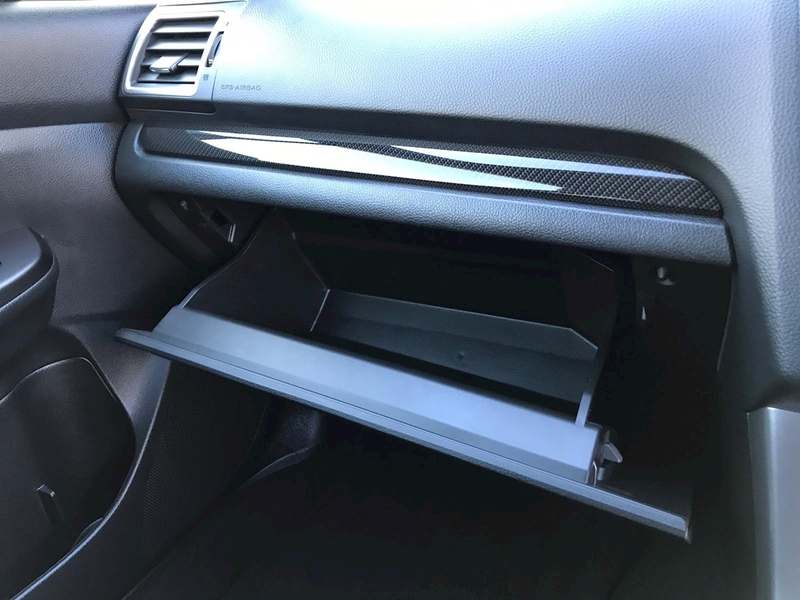 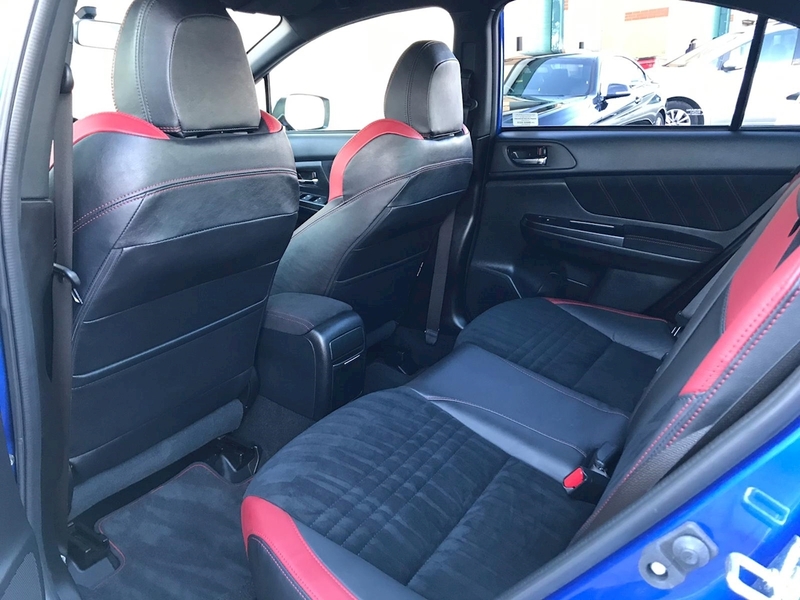 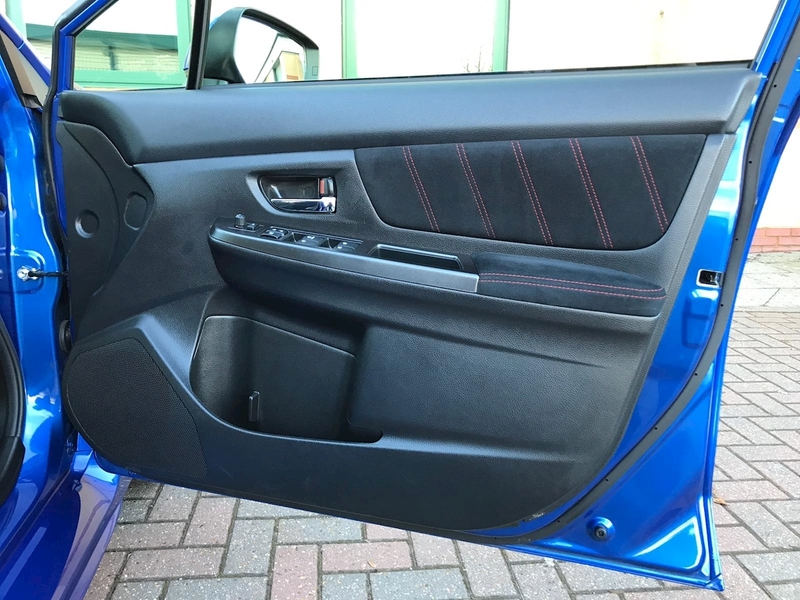 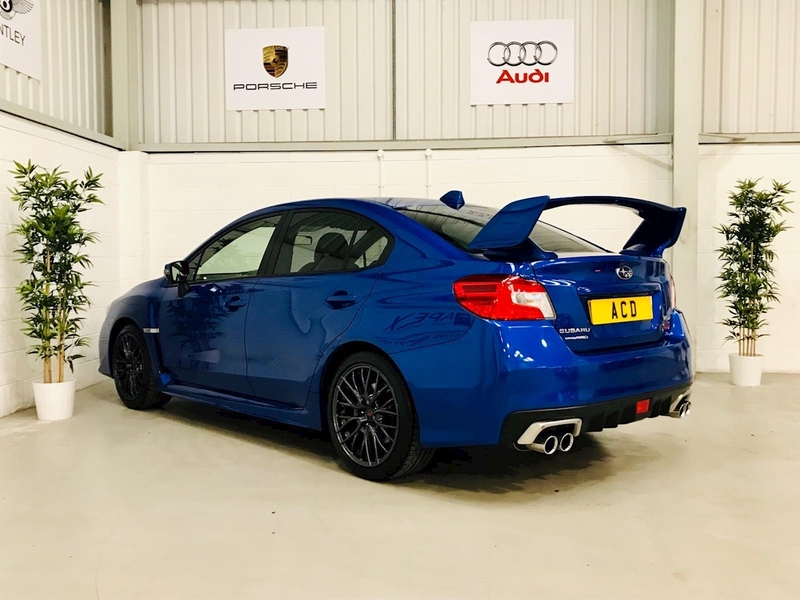 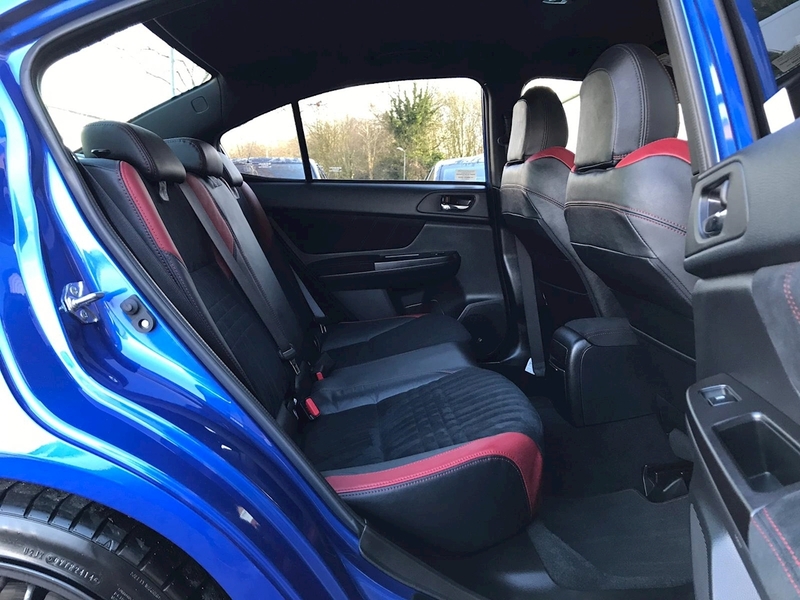 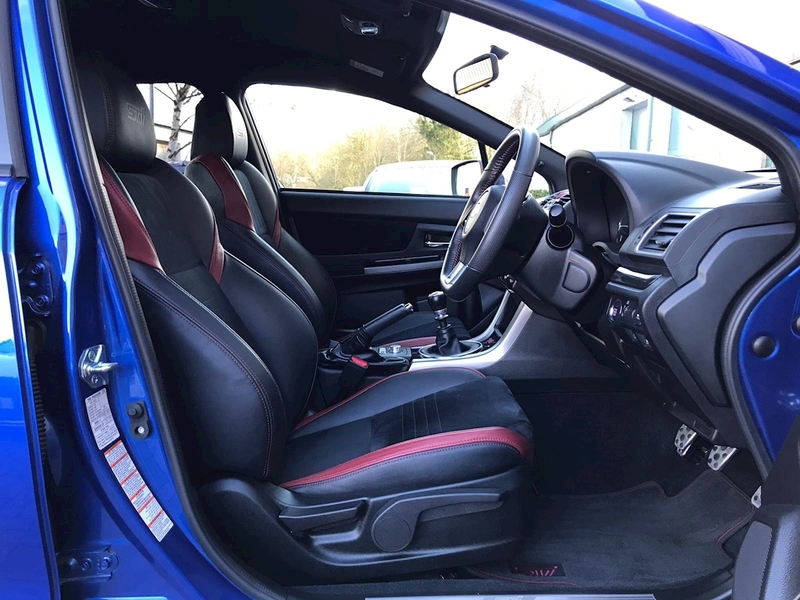 This WRX is finished in Sparkling Subaru Metallic Blue, Black Leather/Alcantara Sports Seats, Large Boot Spoiler and 18” Aluminium Dark Gunmetal Alloys. 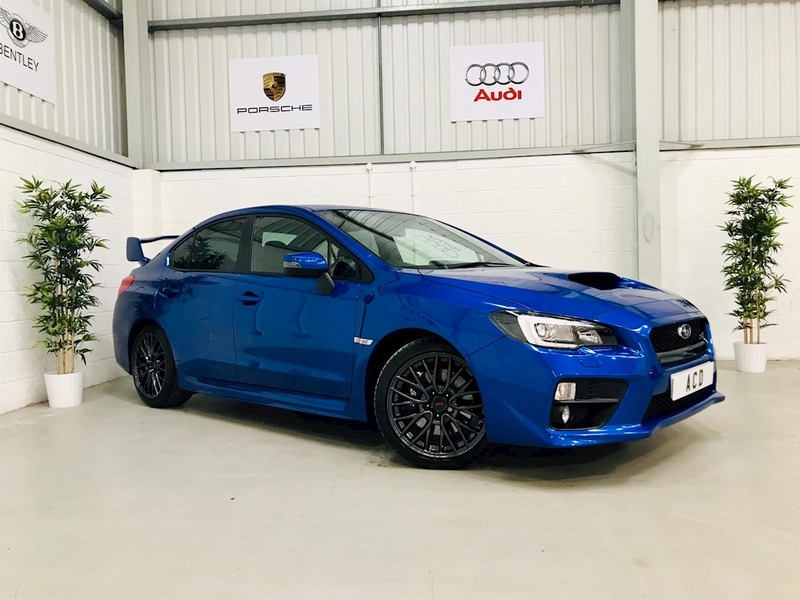 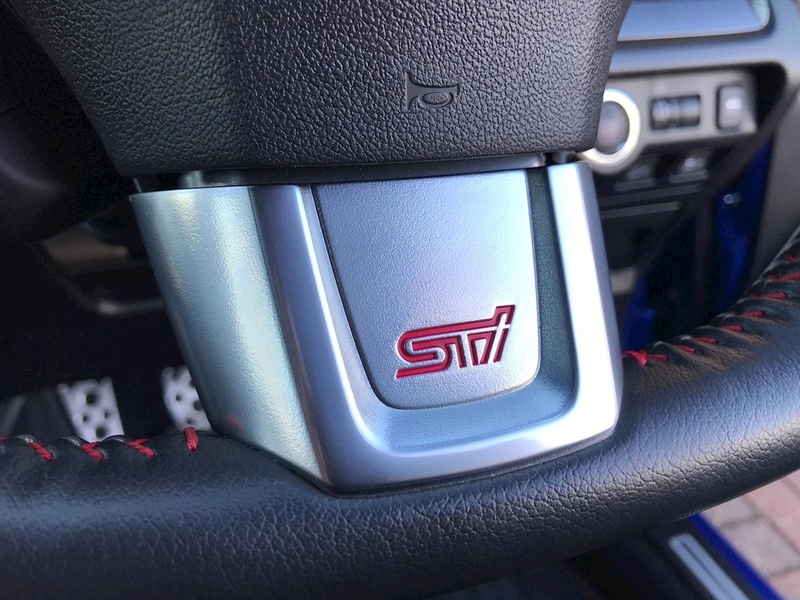 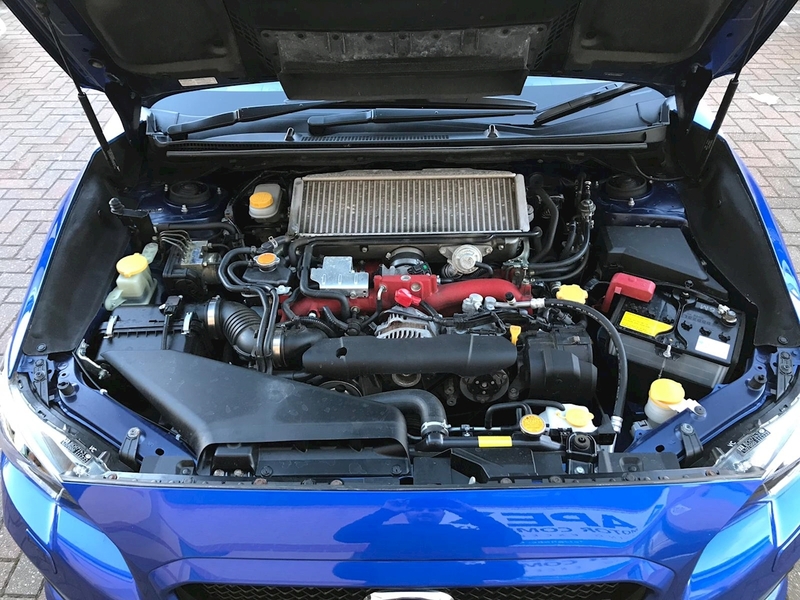 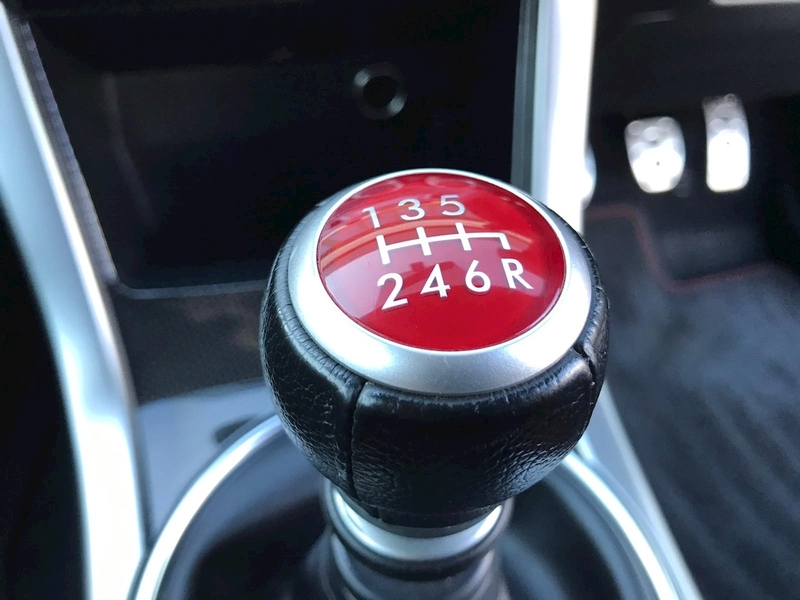 It is in immaculate condition throughout and is backed by a Full Subaru Service History. 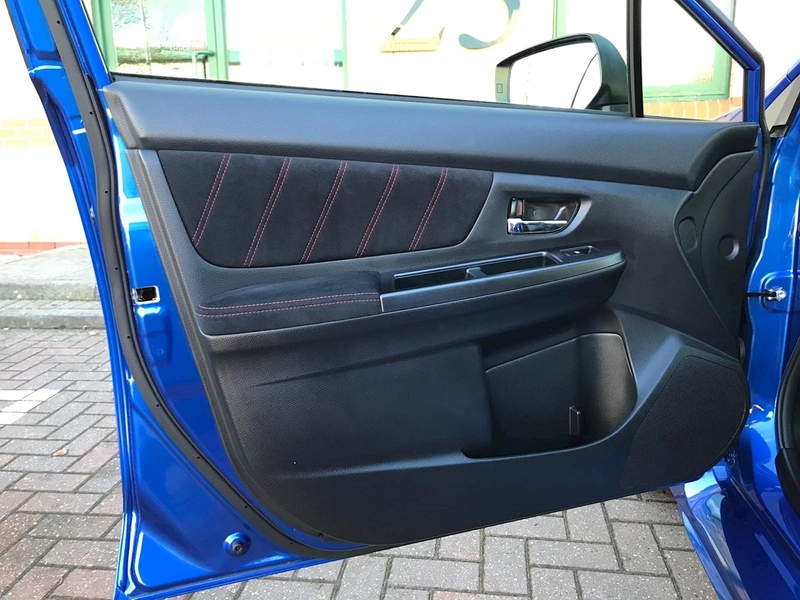 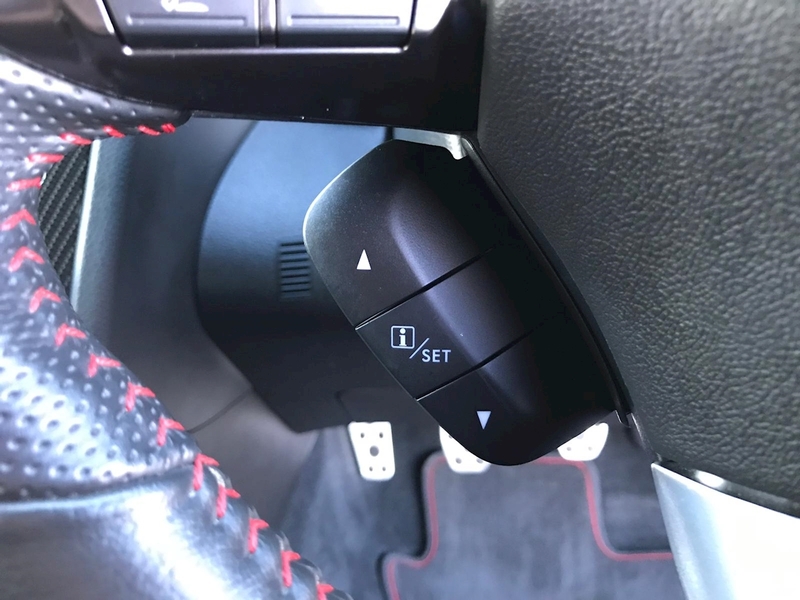 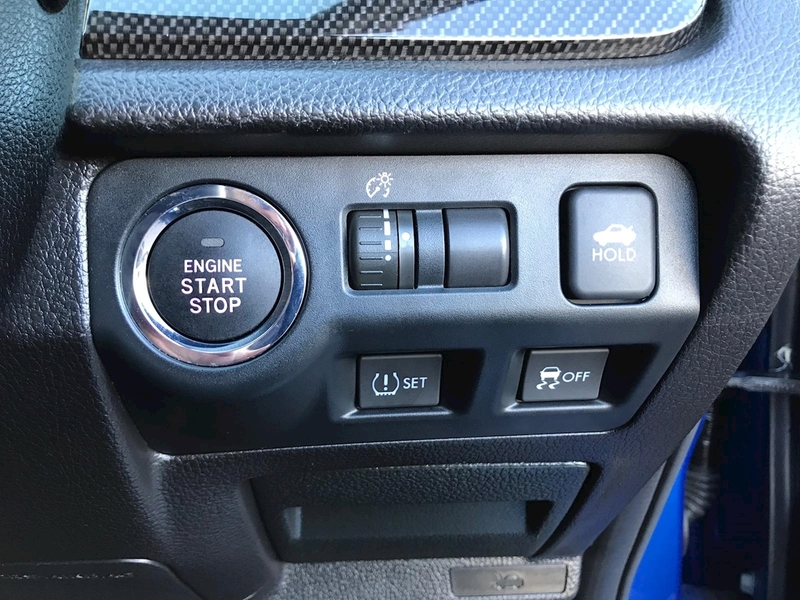 It is supplied with 2 remote central locking keys, manuals, 12 Month MOT and all relevant documentation.